Good afternoon, dear readers; I hope this post finds you well! 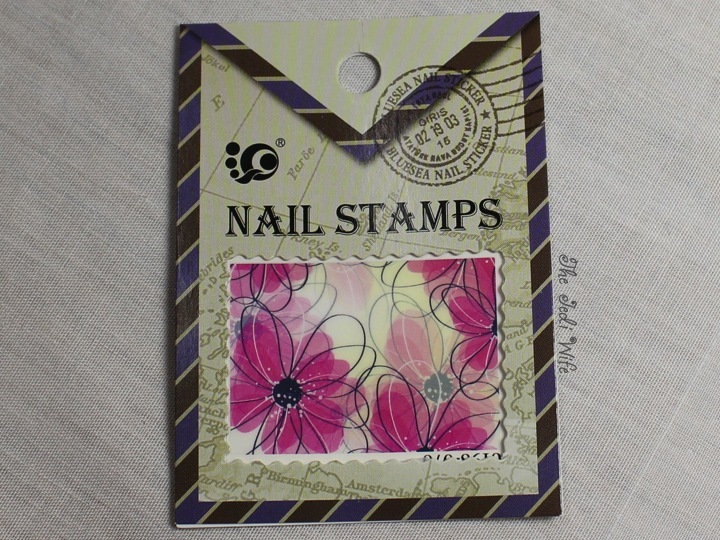 For today's post, I have beautiful nail stamps from Born Pretty Store to share with you. They applied a little differently than the water decals I often use, and I will explain everything after the photo spam below. Let's get to it! It arrives in one large piece like this. You can decide how much or how little of the image you would like to use and cut it out with scissors. Then, I painted my nails with my base colours. I used Zoya Jacqueline underneath the stamps and piCture pOlish Electric Dream on my pinky and pointer fingers. After the image was cut, I removed the plastic film and placed it face down onto the nail. The image is sticky, so you need to try to get it exactly where you want it to be the first time around. I unintentionally dropped the image a little too high up my nail bed towards the cuticle on my middle finger, leaving a sliver of nail exposed. I soaked the back of the thin cardboard backing and slid the cardboard piece away, leaving the image on the nail. I cut the image as close to possible to my nail size, but there was still some excess. To remove the extra material, I soaked a brush in acetone and gently used it to dissolve along the edges of the material. I did not use a top coat for this photo as my quick dry top coats don't seem to play well with this type of product. 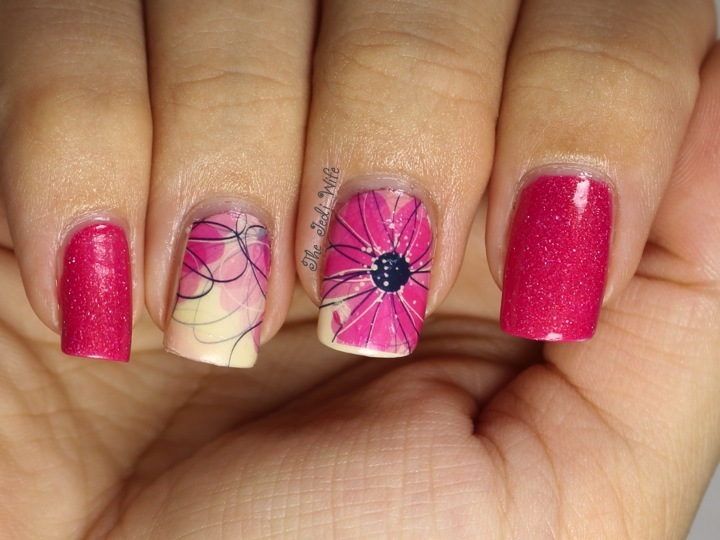 I ended up using a little under half of this nail stamp in these swatch pictures on just my one hand. If you have longer nails than I do, or you are interested in using these stamps on all your nails, you will need more than one set. It does rub off pretty easily if you don't protect it with topcoat; they had partially rubbed off while I slept. 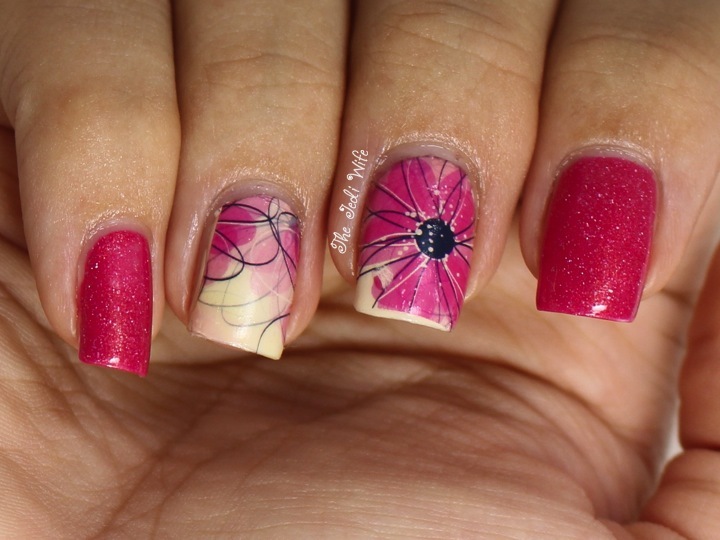 If you are planning fun or unusual manicures, definitely check out Born Pretty Store for your nail art needs. While you are there, you can save 10% by using coupon code QWL91. Thanks for reading, and enjoy the rest of your day! These are so pretty! They go perfectly with that polish! 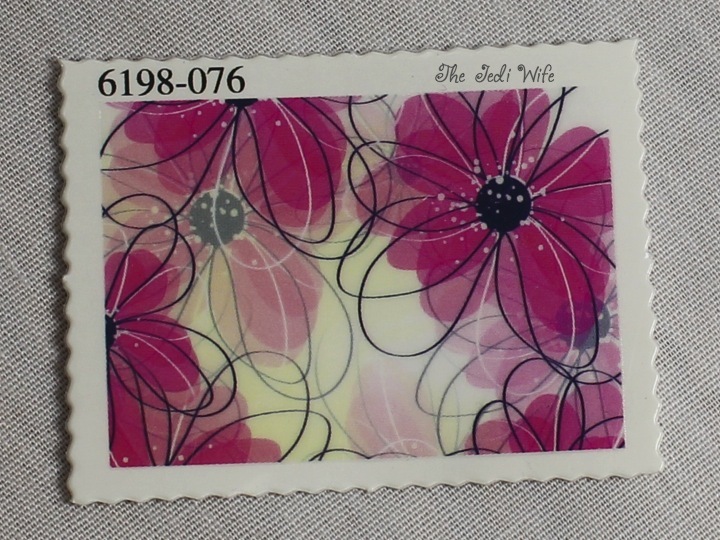 I love that it looks like a large stamp! Lol looks like fun and I like that it's more flexible that pre-cut wraps--which are always too wide for most of my fingers! Love these, shame they are small. Could you please give precise measurements if possible? Thanks.